I'm going to try to be better about posting! Now that I am back in school, I should have more time to develop my blog. My friend inspired me to keep at it because I gave her an eating plan with some guidance that worked for me. She has lost 9 pounds in 2 weeks, which I am so happy about!! It's really more of a lifestyle eating plan, rather than that horrible word "diet." I detest "diets" as they don't work long term. You should aim for your health to be long term, not just a few months! Think about it... as soon as you go back to eating like your old ways, isn't your body going to go back to its old shape and health level? On to the recipe. I have a major sweet tooth and that's one of my most challenging issues. I can ALWAYS eat sweets, no matter how full or satisfied I am. So to combat my sweet tooth in a healthy way, I try to incorporate "sweets" that don't ruin my healthy days. That's not to say I never eat dessert or a piece of cake on my birthday. But for the most part, I avoid those empty calories. 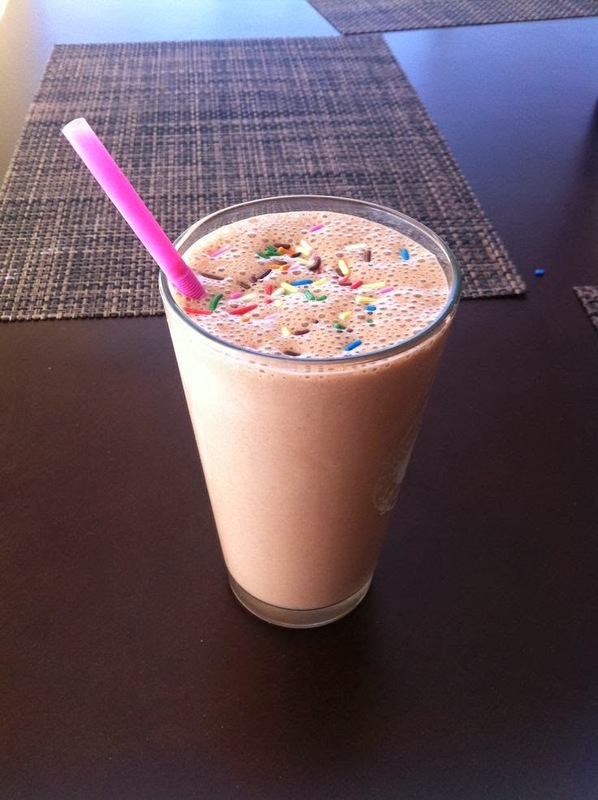 A great way to get your fill and to pack a major protein punch is a protein shake. I found a great protein brand called About Time by SDC Nutrition. I got it on Amazon, which is MUCH cheaper than any health food or nutrition store. I drink protein powder most days in a shake I make in my nutribullet. I typically use soy protein powder, but it can be hard on my stomach. This looks great!